You will need a skillet or a baking dish for cooking a frittata. 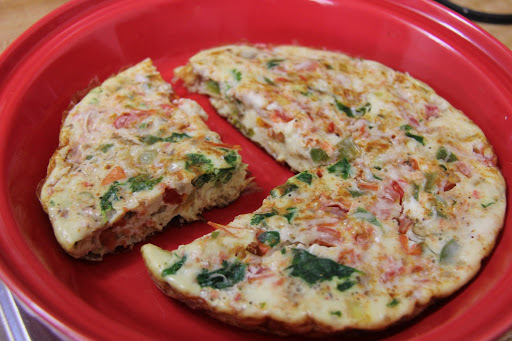 A frittata is of spanish origin made with beaten eggs and some kind of meat,cheese or vegetables. This is a healthier version of the traditional frittata. 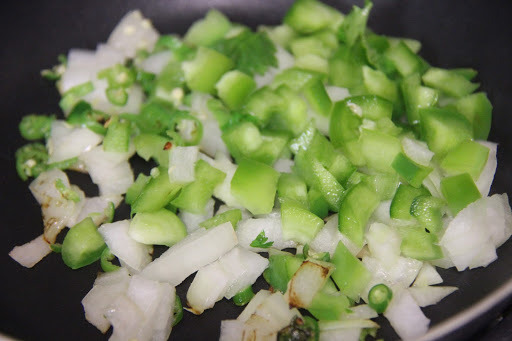 1.Heat oil in a skillet.Add onions, green peppers and chili and saute for 1 minute. 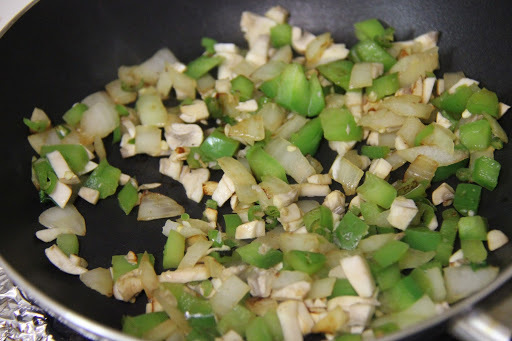 2.Add mushrooms and saute for 1 minute. 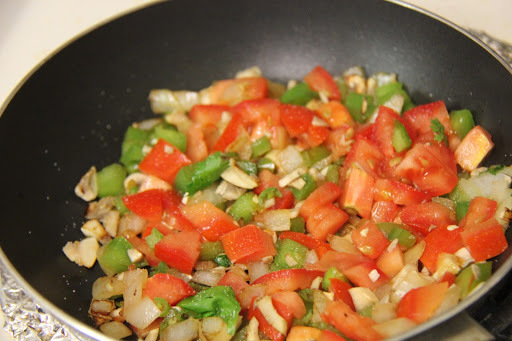 3.Add tomatoes and saute for 1 minute. 4.Add salt and pepper and add the egg white(or beaten eggs). 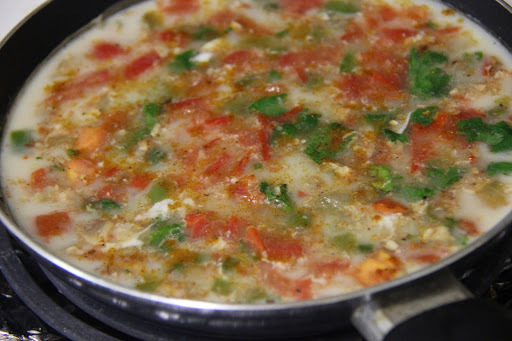 5.Turn down the flame to medium-low,cover with lid and let cook until the egg is completely cooked. Remove from pan and sprinkle cheese(optional). Kids will love it due to the pie shape of the eggs. You can serve with ketchup or hot sauce. If baking it, you have to let the eggs set on the skillet and then transfer to oven and bake for 20 minutes or bake directly for 30 minutes until toothpick inserted comes out clean. Other ingredients you can add are bacon, ham, zucchini, spinach, milk or half and half(for creaminess and softness),basil, potato, garlic,rosemary,sausage and asparagus. 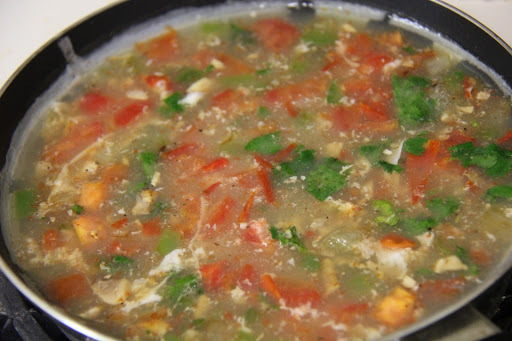 Saute all the ingredients until tender and then bake with the eggs on stovetop or oven.